“I am a peace activist!” Julian Bond of the Christian Muslim Forum kicked us off this morning at 7.30am – listen here at 30 minutes into the broadcast. London Peace Network members from Jewish, Muslim, Quaker and Christian traditions are each broadcasting a Thought of the Day on Premier Christian Radio on (find them on 222.06 DAB) this week. 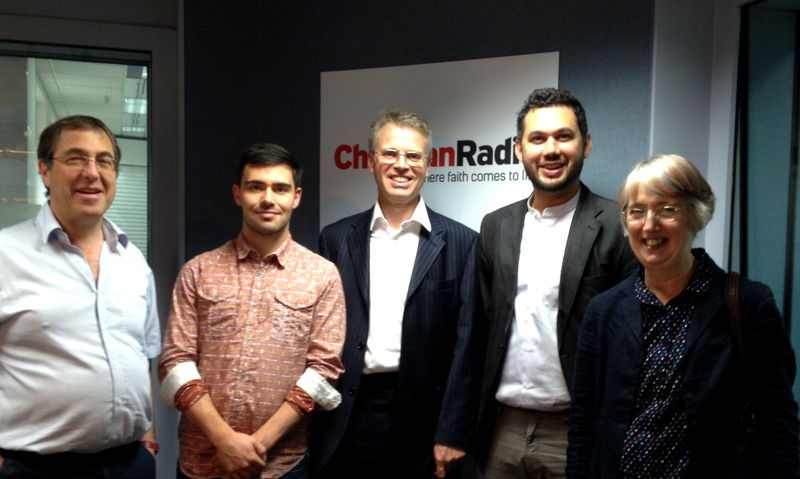 Steve Miller, Chris Bryant (Premier Radio), Julian Bond, Sayed Ali Abbas Razawi and Bessie White in the recording studio. You’ll hear Steve Miller, Sayed Ali Abbas Razawi and Bessie White at 7.30am over the next few days, and Julian will finish the series on Friday morning.